This is a free, members-only event. Tell lawmakers everyone deserves to be home – we can make that happen! Register today so we can set up meetings with your legislators. Scheduling and planning for this event requires a significant amount of time and coordination so we must know who is attending in order to coordinate more than 250 meetings. Attendees will be assigned to a team and will receive background information on the lawmakers they will see and talking points on the advocacy issues to help lead the discussion. Bring a team of five or more – wear your company colors – and dinner will be on PHA the night before at Duke’s with our Team Leaders! Reservations are required and space is limited so register your team today! 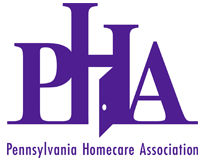 HomePAC PHA’s political action committee supports federal and state lawmakers who support the homecare and hospice industry and the people we serve. Since there is no cost to participate in Lobby Day, please consider making a donation to HomePAC! You will have the option to donate when you complete your registration online.